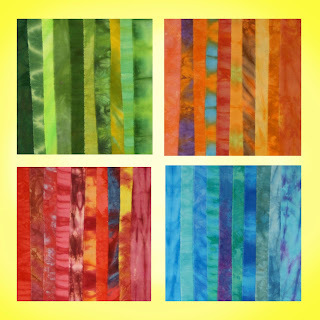 I am so excited to share with you a new sponsor here at Sew Many Ways...Vicki Welsh Hand Dyed Fabrics. I can't thank Vicki enough for joining Sew Many Ways. If you are looking for beautiful, one of a kind, hand dyed fabric, then Vicki is the person for you. When you come back to Sew Many Ways and are looking for a link to Vicki's awesome site, her button is on my right side bar. She is also having a give away for us here, so read through to the bottom!! I have been following Karen’s blog, Sew Many Ways, for a long time and I am so impressed with everything she has going on here. I recently decided that it was high time that I got involved myself and I am thrilled to be a blog sponsor now. I retired from corporate America in 2010 after spending almost 30 years as a project manager in the financial services industry. It was a great life but I am lucky to now be able to devote myself to my passions: dyeing fabric and quilting! I’ve been sewing all my life and started concentrating on quilts about 12 years ago. I started dyeing fabric in 2007 and have been hooked ever since. The most unique thing about hand dyed fabrics is that they are one-of-a-kind creations. That said, I have hundreds of dye recipes and can create (and recreate) custom colors. 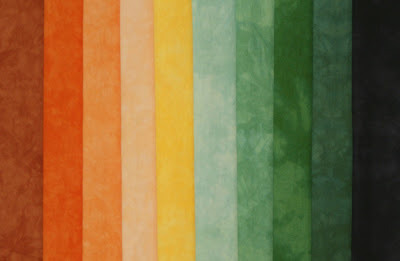 I am most known for my fabric gradients (5 popular ones are shown above). These fabrics blend colors from selvedge to selvedge. I also have fat quarter packs and one-of-a-kind pieces. Additionally, on my blog, I have a Featured Fabric Palette of coordinated “solids” and gradient that is offered at a special discounted price for a limited time. 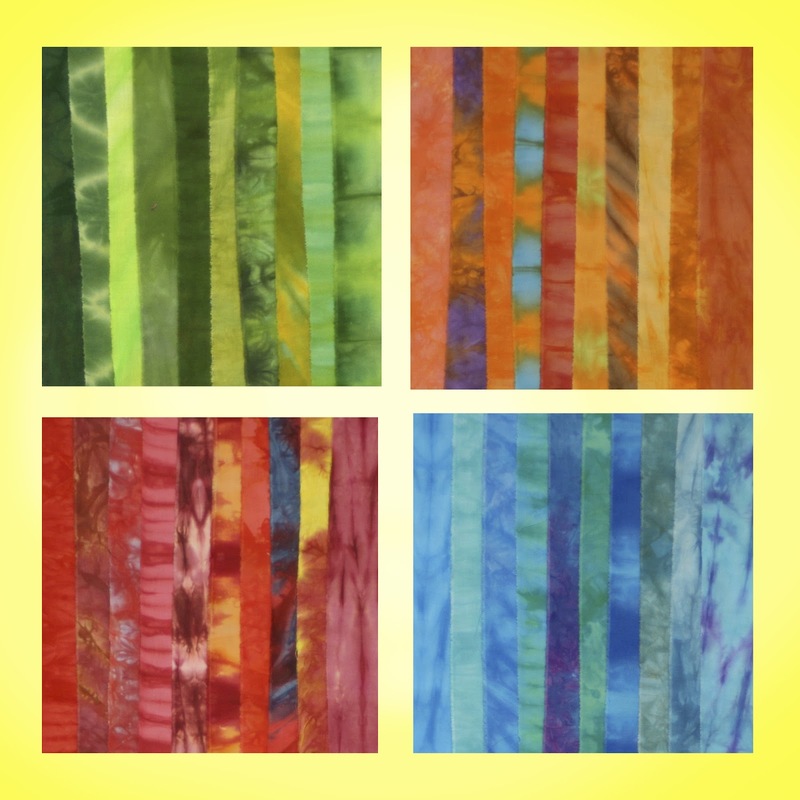 My goal is to introduce (or reintroduce) quilters and fiber artists to the world of hand dyed fabrics. Hand dyed fabrics have a reputation for not being colorfast and, therefore, many quilters avoid them. My fabrics are processed to remove all of the excess dye and you can use them in your quilts as confidently as you do commercially printed fabrics. You can read about my process for removing excess dye here and the process is also effective with commercial prints that bleed. One recent quilter used this process on a finished quilt that bled and it got out all of the excess dye that had bled onto her white fabrics. Turquoise dyes seem to be the most stubborn and they sometimes require multiple treatments. I apply this process to any commercial fabrics I buy. I put them through the soak before they are ever placed in my stash. For up to date information on my new palettes, new products and special sales, sign up for my monthly newsletter here. What a difficult choice - I love everything Vicki does but think I would choose the orange stash pack. 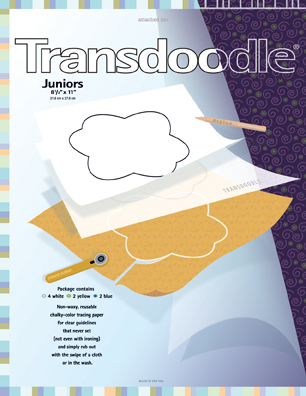 By far my favorite is transdoodle! How colorful and so very cool to learn about your business. Congrats on saying goodbye to the corporate life - what a dream come true it sounds like for you. thank you for sharing! Very pretty...I like this from the shop. and I love the orange bundle too. Everything is beautiful! The teal stash pack is my favorite. ok this is hard to pick, I am going to Gradient, because that southwest one is GORRRgeous, but I also like the stash packs of sunshine. I have always wanted to dabble in making hand dyed fabrics.... one day maybe. That is an impossible choice. I love the gradients. They could be used in so many ways. The stash packs are gorgeous color combinations. I like them all but for some reason was really drawn to the reds or turquoise blues. Beautiful! OOOoo - pretty colors! I love the stash packs with all the color variety - especially the great yellows. It is so hard to find good yellows in the shops. OMGosh!! such beautiful vibrant colors..the gradients are my favorites along with the specials. Thanks for sharing the article on dye removal too. My favorite is the gradients--but don't ask me which: an impossible choice! I love the fact that you are so determined to have your fabric NOT run--one of my pet peeves. Lovely colors. I like the Stash Packs. Vicki really knows how to dye fabric! The Shibori Fabric - Toyoake is unbelievable! You have a wonderful sponsor there Karen! What a wonderful giveaway. The stash packs and the gradients ate my favorite sections, but the shibori fabrics are definitely eye- catching!! I love the green stash pack - lovely shop and lovely fabric. I love the gradients - blues stash pack. Thanks for the giveaway. They are ALL gorgeous! Not sure I can decide! LOL I like the gradients, the Spring and Sunshine Stash Packs the most. I always love to see what Vicki is dying, she has such beautiful shades and variations. I really love the blue and green gradients. I want to do some art pieces and those shades would be wonderful for backgrounds, for skies or ocean. I love the fat quarter packs. It is so hard to pick because they are all so beautiful! I would have to go with fat quarter packs only because I have been doing a lot of quick fat quarter projects recently so those really jumped out at me. Awesome giveaway! They are all so beautiful it's hard to choose, but I was immediately drawn to the Spring Green Stash Pack. Such gorgeous colors! Thanks so much for the chance to win! Vicki your site is amazing. I think I have dyed and gone to fabric heaven. I love the gradients and the shibori. These are the types of fabric I am drawn to. Thanks for a chance at a fabulous giveaway. I would choose (OMG, I love them all)the Teal stash pack. I'd have to say the stash packs. That said, I must add, Karen, that your kits make my mouth water! LOL Gorgeous!! I really liked the orange stash Pack. All the colors are really nice. I like either the stash packs or FQ bundles....not that I need any more fabric, I could open my own store, but these are beautiful! I like the gradients, especially the yellow to red because I always need reds, but all the colors are beautiful. Handyed and batiks are my favorite fabrics to work with. They are all beautiful... I love the Akita & Hirakawa (I LOVE GREEN). I also found your removing excess dye section VERY helpful, I am going to try the boiling water & patience! Thank you so much! I love the stash packs. They are wonderful!! Thanks for the chance to win.!!! I love your fabrics! Just looking at them online is a joy. The colors are amazing. I liked the gradients the best, and therefore, the one yard cuts - I love seeing the color unfold. I would have a problem cutting it :) Thanks for the link! Eu gostei de todos,mas os gradientes vermelhos são o que preciso no momento.Eu achei que a teimosia era só com os tecidos vinhos e marrons,tenho tido algum problema com manchas nessas cores.Obrigada. The fabrics are gorgeous. I especially love the gradients. Thanks for the chance! I'm a sucker for hand dyed and batik fabric! Could it be a throwback from my old tie-dye days??? Oh gosh, there's so much to like on Vicki's site!!! I think I like the gradients best because they offer several shades on one piece of cloth allowing some excellent matches with my existing quilt fabric. Thanks for the links and the give-away! I love the gradients. Thanks for the chance to win some gorgeous fabric. I Love your fabrics, especially the fat quarter! I love it all, but I really like the hand dyed fabric Glamor Girl! Love the colors! Gorgeous fabrics... so hard to choose! I like the Gradients, and Stash Packs. And those Shibori fabrics? So unique! Lovely fabrics, and it s hard to choose. But if I'm the lucky one, I'll take Spring Green stash pack. I have some of Vicky's fabrics. They are beautiful. I like just about everything she makes. I have an idea for some of her gradients dyed for a border of a quilt still in the planning stages, but the colors are picked. Oh my Goodness! I love everything!!!!! So hard to choose! I love the Stash Packs! I like the red stash pack! Thank you for the chance to win! Let's see...... I love the gradients, and the stash builders and the fat quarter packs and the monthly palettes and the colour lessons and the examples of how to use the colours in your EQ drawings........... How to pick just one? I guess it would have to be the fat quarter packs of the different palettes. I absolutely love your gradients! I'm thinking of all the great backgrounds they'd make for landscape quilts! Love them all!!! I like the pink shibori died in a chevron pattern. I love the entire shop, but my eyes definitely were drawn to the gradients--so colorful! If I had to choose just one stash pack, I'd pick autumn. Thanks for the introduction to your work! I absolutely love the stash packs. All of it is very gorgeous actually. I love your blog also. Thanks for this opportunity to enter this giveaway. Lovely fabrics and it's interesting to read about the hand dying process and also the removal of excess dye. Some of that will come in handy just doing laundry when clothes bleed! I think overall my favorite is the gradient fabric section, but Swan Hill would be the perfect fabric for a quilt I am working on for my friend and my personal favorite fabric is Talca - so beautiful! I was naturaly drawn to the gradients, but if I wanted to make somthing right away with the wonderful fabric i would choose the stash packs. I would make a patchwork skirt out of them. I really like the Growin Poppies kit under the Kits section. All of Vicki's fabrics are gorgeous...but if I had to pick a favorite section, I'd say fat quarter packs. Thanks for the chance! Vicki is a peach! Congrats on your new sponsor, Karen. Wonderful hand dyes, I like the stash pack in oranges. Orange is really grabbing my attention just now! Thanks for the chance to win something wonderful. Oh man. I remember doing something similar in college on a Saturday night in the dorm's communal bathroom. I must say, however, those "beverage" fueled evening produced items nowhere near Vicki's quality and artistry. Her colors and patterns are simply outstanding. I think I'm in love with the fat pack - Cartagena. I love bright and this was bright. Love, Love, LOVE the Shibori fabrics. May have to rethink my no-buy decision. Vicki's fabrics are spectacular. I'm working with some of them on a project where I needed something special - and she came up with just what I needed. I have one of her gradient silk scarves - love it! Check out the fabric names of her gradients. Her fabrics are outstanding! Vicki's fabrics are beautiful. I love the stash packs. Thanks for a chance to win. They are all just so bright and so beautiful! Your gradients are fabulous! I must say that your stash packs are my favorites though! Love the spring green and the teals and the sunshine, oh heck I LOVE 'EM ALL! Designs, Patterns, Colors! I'm supposed to pick a favorite. I love it all but I lean toward gradients. Not sure I can pick just one...LOL its like candy, you want to sample them all. But I really like the color bundles you put together what a great eye for color. gradients and oranges - how can you go wrong! oh my, how to choose. difficult. so much wonderful color. i like the gradients and the stash packs. Fabulous fabrics! all those wonderful colours! I like the orange stash pack! Vicki, I think your gradiants are the BOMB! Loving the Sunshine Stash Pack...I'm doing a citrus quilt and it would be the perfect frame for my blocks. Oh, I'm in love with that Orange Stash Pack! What a great variety of tones in it, with just a smidge of other colors to swirl it up! Love it! And thanks for the info on stopping the bleeding of dyes from fabrics.....very useful! Do I have to pick just one? Can't do it easily. I love them all. But if I had to choose one, it would be gradients. Lovely fabrics! I am really drawn to the Shiboris. So very pretty! Wow. Simply blown away by the beauty.Very difficult to choose, Even the colors I don't like are fabulous! The Antigua is beautiful in the fat quarters, but the stash colors are wonderful as well! So hard to choose!! So beautiful! I like the Shibori - especially the Noshiro - it is MY colors! I love the gradients but I actually looked in her "specials" section (along with the others) and fell in love with "Fire Lily" and "Monarch." So happy for you to have a new sponsor and also so happy for me to find a new place to get unique fabrics! I love all the different patterns in the Shibori! What a great giveaway. Your shop is lovely. I especially like the Spring Green and the Blues. I think I like the Stash Packs best. So many beautiful colors and fabrics all in one bundle. I like the yellow stash pack. I've wanted to try the Transdoodle paper. Thank you, Karen and Vicki. I read both your blogs. You make a good team. I learned about Vicki from JudyL. I've been a follower of both Karen and Vicki for quite awhile and love what they both do. So much information between the two. I think my favorite fabrics at Vicki's shop are the gradients - Rocky Road being my absolute favorite! Thanks for such a generous giveaway and I'll be thrilled if I win. I love it all, but especially the gradients--I have some of Vicki's hand dyes and they are premium! Love the gradients but difficult to choose.. I love the stash packs, especially the Autumn colors! Awesome dyed fabrics... I love the teal or blue stash pack!! Thanks for sharing. Oh, I think the fat quarter packs are the bomb. I've been drooling over this fabric since seeing it on Judy's blog. Nice to see it here as well. I really like the kit section of the site. (Love all of those with flowers) I also like the stash section. How fun! A good friend of mine got some of these fabrics for Mother's Day and just loves them. Now I have a chance at some? Doesn't get much better than that. I like the Stash Packs... along with everything else, what's not to like? The fabrics are gorgeous. Thanks for such a great giveaway. I love how vibrant all the colours are, The hand dyed fabrics are just brilliant. I am really drawn to the stash packs, they are all so wonderful, but my favourite has to be hand dyed Autumn stash pack. Thanks for the chance to win, thanks for a great read too. Cool shop! I love her hand dye fabrics. Especially the stash packs. The fabrics are beautiful. I really love the gradients. It would be hard to pick one favorite. I like the teal stash pack best. Oooooh, I love the stash packs! The colors are glorious and inspire me to dig into the creative part of me that is not very confident. I admire your work. Thank you for the chance to win and for the inspiration! I love the gradations. I would love to win these lovelies! The stash packs are my favorite section of your shop -- although it's hard to pick a favorite as they are all so lovely! I sure hope I win! I do so love the gradients. I am totally partial to greens and oranges. These are amazing fabrics. If I don't win I need to buy some. glen: i think 100 is a bad number to have..........yikes..
Love, love, love the stash packs! Love it ALL! but if I had to choose it would be the gradients. Oh my- so, so pretty. The stash packs are my favorite. Thanks for the wonderful giveaway. Wow! They are all beautiful, I love the bright fun colors...I hope I win! The stash packs are my favorite section of your shop. I took a class recently where the teacher used a lot of hand-dyed fabrics in her work and it was very inspiring. Wow! They are all so beautiful & picking one was hard!! LOL I love the stash pack in blues. Thank you both for the chance to win!! Oh my! Everything you do is fabulous but I really fell in love with the gradients. Especially the rainbow. I have to go through my projects to do file and decide which ones to order. Thanks for the giveaway. First off, reading about your process for achieving colorfastness has, for me at least, gone a very long way in explaining the cost of these beauties. There are two words that describe my impression of these fabrics - gorgeous and temptation! The gradients just sing. Vicki, I've been following you about as long as I've been following Karen. I love your hand dyes. They all are fabulous. I took a class in shibori dying and loved the process. Thanks for the giveaway. Love the gradient and stash packs section! Your fabrics are so beautiful! Thanks for the opportunity! I like the shibori section. Your fabric is beautiful! I was so excited to look at your store, Hand Dyed Shibori Fabric - Katagami - has to be my favorite. I love stash packs just so much fun. Thanks for the giveaway. I love them all. I'm sure the gradients must inspire a lot of quilts! I love your items and like the fat quarters in Christchurch. Thanks for sharing with the giveaway. Love the gradients & the intensity of color. At your shop, I found the Shiboris so interesting. Some of them remind me of shadows cast by thin leave or the roofs of patios. Very beautiful fabrics. My favorite is the gradients. Thanks for the chance to win. I love the gradients, and was drawn to the morning glory and rainbow fabrics. Beautiful! I've been following Vicki for a long time! I think the stash packs give a great opportunity for filling in where colors are missing from your stash. Truly, every piece of Vicki's is amazing. Thanks, Karen! My favorite is all the shibori. Your gradients are fantastic, too. I really like the Hand Dyed Shibori Fabric - Yuzawa, the colours and the chevron shaped pattern are really lovely. My favorite is the hand dyed gradient fabrics especially the purple to blues colors. I also like the Yuzawa hand dyed Shibori fabric.